What’s it like working as a Freight Forwarder? Freight Forwarders, acting as intermediaries between importers and exporters, seek out and then coordinate the most cost effective and fitting way to move goods between nations. This is an active role, that requires excellent contacts in all the transport modes and a sound understanding of rules and regulations relating to the carriage of goods. These cargo ‘middle men’, also known as freight clerks or shipping clerks, can be employed as a export freight agent, moving goods out of a country on behalf of exporters or shippers, or a import freight agent, customs clearance agent or custom broker, bringing goods into the country on behalf of importers. 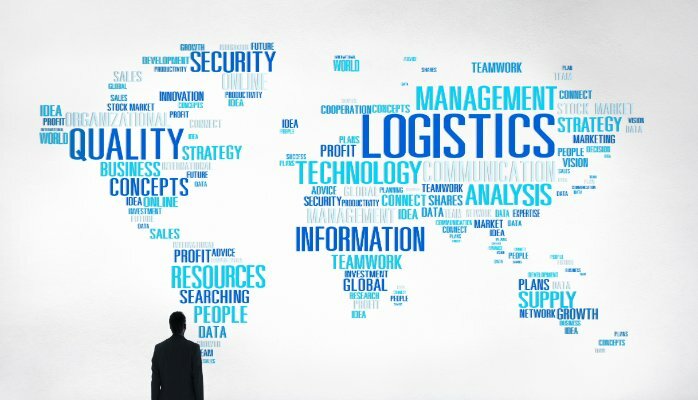 In essence the Freight Forwarder’s role falls into four main areas: the provision of a range of independent services such as packing and warehousing; giving distribution advice; acting as a agent to source transport space; and acting as a principal to move goods across international frontiers. Freight Forwarders have excellent relationships with road, rail, air and shipping companies, allowing them to find and negotiate the best transport arrangements for clients, although in some cases, the freight forwarding company itself provides the service. They will be expected to select safe routes and carriers; negotiate contracts, transportation and handling costs; book the transport cargo space; arrange appropriate packing; deal with transport rates, insurance and schedules; make calculations by weight, volume and cost; prepare quotations and invoices; and prepare contracts. Freight Forwarders need to liaise closely with clients at all stages to advise them of costs and arrangements. Other duties a Freight Forwarder may be expected to perform include the clearing of goods through customs, arranging the payment of duties and taxes, and organizing the delivery of goods to the importer’s premises. Companies with positions for Freight Forwarders available can range from small, single-office firms dealing with clients in their immediate local area or operating at a specific seaport, to global companies that have their own offices overseas and offer a wide range of worldwide services. To better compete, many Freight Forwarders today offer a range of services including warehousing, sorting, packaging and goods assembly. Some large export or import companies have their own freight forwarding staff, while others employ the services of specialist freight forwarding companies. Freight forwarding staff can also often find employment in the manufacturing sector at senior logistics management levels. A Freight Forwarder is an important link in the cargo supply chain and has a finger firmly on the pulse of the logistics industry. There are many Freight Forwarders throughout the world in the form of local, national and international freight forwarding companies, as well as major retail companies, manufacturers, and warehousing and distribution firms. Companies vary in size and type, from large conglomerates to specialized firms, who deal with particular types of goods or operate within particular geographical areas. Interested candidates can undertake courses and professional training in international transport, logistics supply chain management and transport management, although experience in sea, road or rail transport operations can be used as entry into this sector. As a specialist profession, national freight associations also provide training and diplomas for this Freight Forwarders.